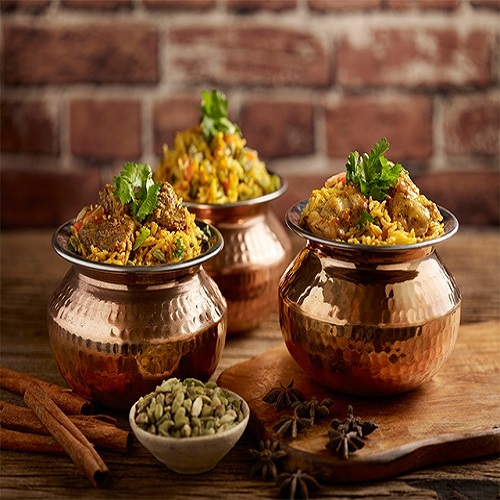 Established in 1985, Tandoor, Singapore’s most awarded Indian restaurant, takes diners on a journey with authentic North Indian dishes that pay homage to India’s rich culinary heritage. Each dish in the gourmet menu is carefully handcrafted by a team of talented chefs using classic recipes and time honoured methods. Full-length windows give diners an intimate view of the kitchen where two custom-made copper tandoors (or clay ovens) stand. From the dining hall, you will be able to see our chefs at work, from making Indian breads to preparing kebabs of tandoori meats and vegetables that are served fresh to your table, presents an inviting atmosphere where you can enjoy good food and great conversations with family, friends and clients alike. Located one floor below the lobby level. Open daily, lunch and Sunday Brunch from 12nn to 2:30pm and dinner from 7pm to 10:30pm. All other orders are subjected to additional charges. Offer is only valid with payment made via Standard Chartered cards. Offer is not valid with prevailing Standard Chartered offers. Blackout dates for festive days applies.